Diamond Select's new Trek line, Star Trek Select, will be beaming into comic and specialty shops early next year. The first offering is perhaps the most recognizable character in the franchise's long history- Spock. Clocking in at a 7" scale, Star Trek Selects starts up with Spock as seen in the classic Trek episode Devil in the Dark. Depicting Mr. Spock as he appears in the classic episode "Devil in the Dark," this figure includes a cave diorama with a Horta alien -- the first Horta toy ever made! 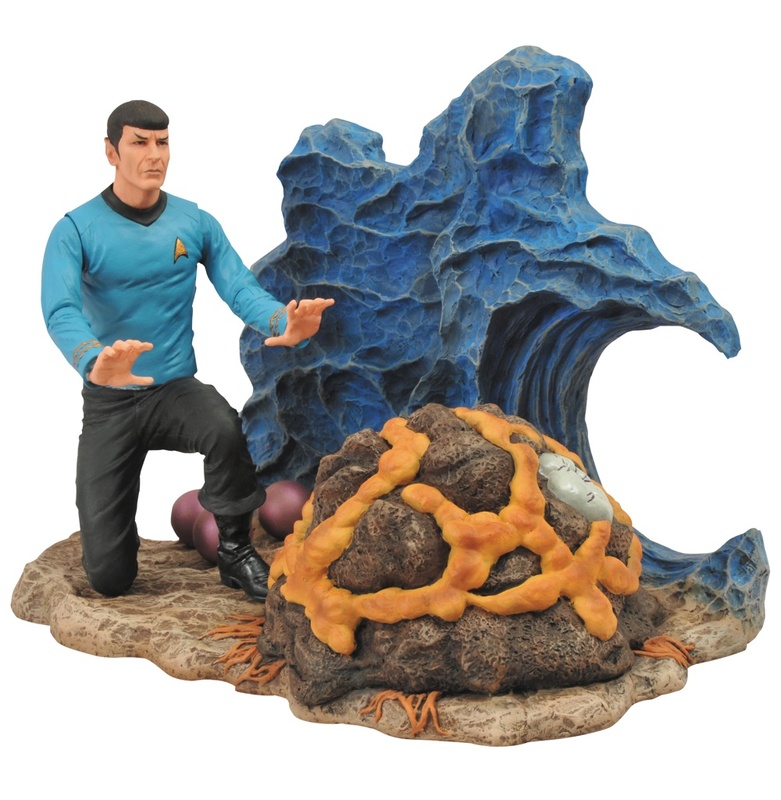 Spock himself will have interchangeable legs for standing or crouching poses, and interchangeable hands to hold a phaser or establish a mental link with the Horta. He even comes with an alternate screaming head! 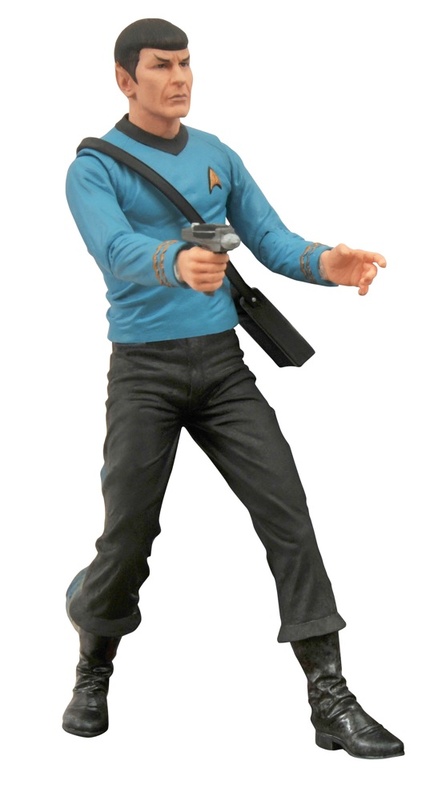 Although there's no specific release date yet, you can expect to see the Vulcan science officer on store shelves at your local comic shop in "early 2013". DST also announced the second figure in the series today - it'll be the Captain himself, James T Kirk. There isn't even a tentative date on him yet, but he's probably a safe bet for the first half of the year.